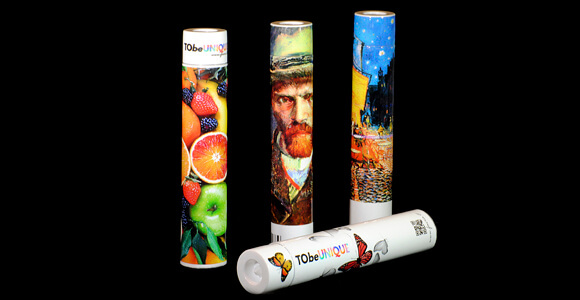 ToBeUnique is a world unique digital printing system on aluminium. The digital printing process is not limited to the tube shell, but it can also be extended to the capsule effectively offering a striking unicum. In fact, you can customize the tube with great colour and graphic effect, with the addition of an anti-counterfeiting copyright protection function. Totally integratable with offset printing processes.